PlayGroups are gatherings of 6-16 people for the purpose of growing via playful learning approaches--from hands-on activities to sharing honest conversation. Here are two of the PlayGroups we offer. Write Troy if you are interested in participating. 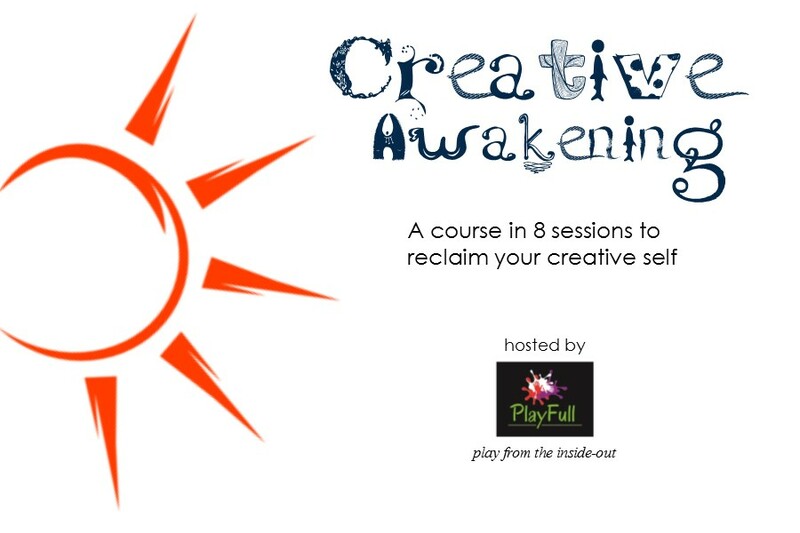 Description: Creative Awakening is an 8-part interactive course that guides you step-by-step to renewed creativity. You do not have to be an artist to join! Session 1 gets your creative juices flowing, concluding with time to plan and prepare whatever type of artistic expression you want to practice. Sessions 2-8 feature time to practice, share with one another in a support-group fashion, and discuss original course content through a manual you'll compile each week. By the end of the course, you'll walk away with good friendships, a 72 page manual you can use repeatedly to feed your creative self and (hopefully) some wonderful art you've created (whether written, musical, visual or etc). Enrollment is limited to 10 people. Participants must be 14 years old or more. Schedule: Sessions take place in 120 minute segments. See session titles below. Read what others are saying about this course! Description: Wouldn't it be wonderful if the work you do fills you with joy and meets a real-world need at the same time? Too often we have one without the other. This PlayGroup invites participants to discern the place where their gladness and the world's hunger meet. What sets this apart is that participants engage in this discernment process in community with others and through playful exercises designed to help you reflect freely, without anxiety. Art, food, storytelling and imaginative meditation are just some of the tools we employ. Whether you are newly retired, contemplating a mid-life transition or just beginning your vocational life, the Gladness and Hunger PlayGroup can help you obtain focus and a clear sense of God's unique calling in your life. Contact Troy if you'd like to participate.